Set within the Mediterranean climate of Catalonia’s Girona coast lies Tossa de Mar. This majestic walled old town is home to some of Spain’s richest history and has made a name for itself as a busy resort in modern times. 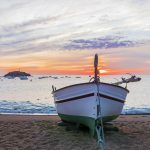 While the tourist boom may tempt you to strike it off your list of must-see destinations in Spain, this is one you’ll want to join the crowds for. As the coast’s only fully preserved medieval town, you’ll quickly fall in love with the beauty and architecture Toss del Mar has to offer! 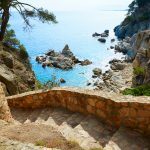 If you are looking for spectacular, photo-worthy views, stroll through the old town of Tossa de Mar. 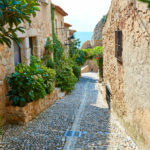 This well-maintained area still retains original walls from the 14th century, making it the only fortified medieval town still surviving along Catalonia’s coast. That alone makes it a marvelous monument with historical value, and Spain agreed because they declared it so back in 1931! To see how the Romans farmed and fish back when it was part of Tarraco, visit Els Ametllers. This Roman villa still has remnants of a spa and a fruit press, and on display you can see loom and farming tools, sculptures, mosaics and even fish tackles that are sure to help you step back in time! 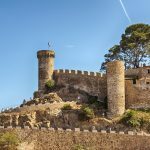 Overlooking the sea lies a busy little castle, Castillo de Tossa de Mar. Along your walk to this historic location you can stop for a photo opportunity with a statue of actress Ava Gardner. The walk itself is beautiful and worth it for anyone capable of making the slight trek, but if you can’t then there is a train available to take you directly there so you don’t need to miss out! Torre de Moros, or the Moorish Tower was built back in the 16th century as a way to protect the coastal towns and villages from pirates. This stone structure has two levels, and will also provide ample opportunity for you to see some of Spain’s natural beauty as you walk through a path in the woods and up a rocky slope to get there. But don’t worry, the views once you make it up are completely worth the effort! In Tossa de Mar’s old town you’ll find Capella de la Mare de Deu del Socors, or Chapel of Our Lady of Succour. 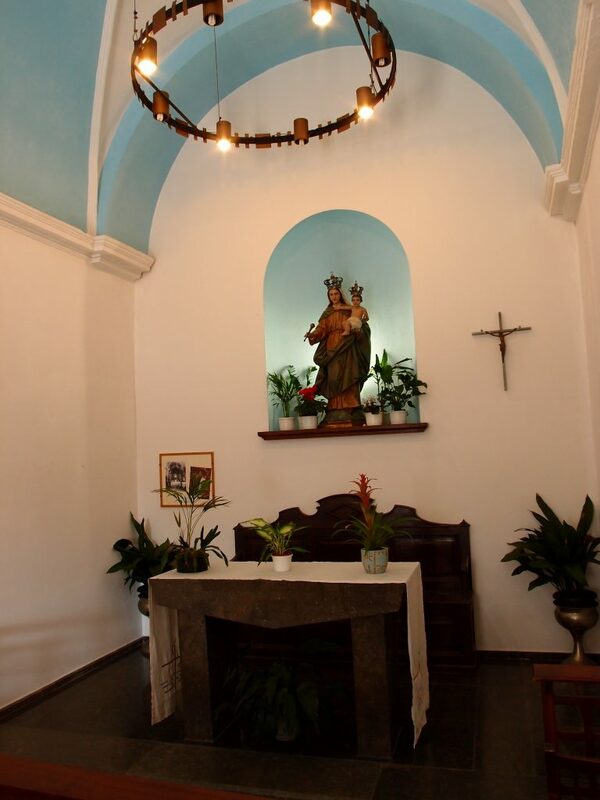 Set in the middle of a now-bustling shopping center, the chapel is one little piece of tranquility that contrasts with the tourist town. Locals take pride in the chapel, as the village originally started here and naturally just expanded out throughout the years. So if you’re interested in seeing where Tossa de Mar began, this is it! Tossa de Mar’s parish church, Parish Church of Saint Vincent, was inaugurated on November 29, 1775, but it was started 20 years prior in 1755. The large church was built to be able to hold the town’s entire population when there were events, which makes it quite a sight to behold for sure! 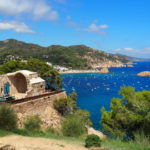 Another must-see spot in old town, the Museo Municipal can take you back to the very beginning of Tossa de Mar, all the way in the Paleolithic era. The museum’s archaeological section is just as fascinating as its art, which focuses on works from artists dating back to the 1930’s. If you’re looking to explore a slice of history while still getting the opportunity to appreciate some truly beautiful works of art, then take a break from strolling through old town to walk the halls of Museo Municipal! 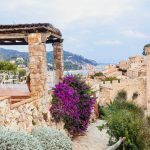 While this compilation offers some insight into major destinations in Tossa de Mar, there’s certainly no shortage of other gems to be found! Where there’s history, there’s a story to be told, so don’t be afraid to step out of your villa and onto the streets and sands where early Spanish locals had first started making their mark in this little section of the world.